Dear HOMINUM friends. Here is my report to this year’s AGM. Fellow Hominum attendees……Here I am attempting to do a Chairman’s report after 12 months …..where has the time gone? When I reflect on the year, I personally feel it has been a slow, but steady growth and the best is yet to come. 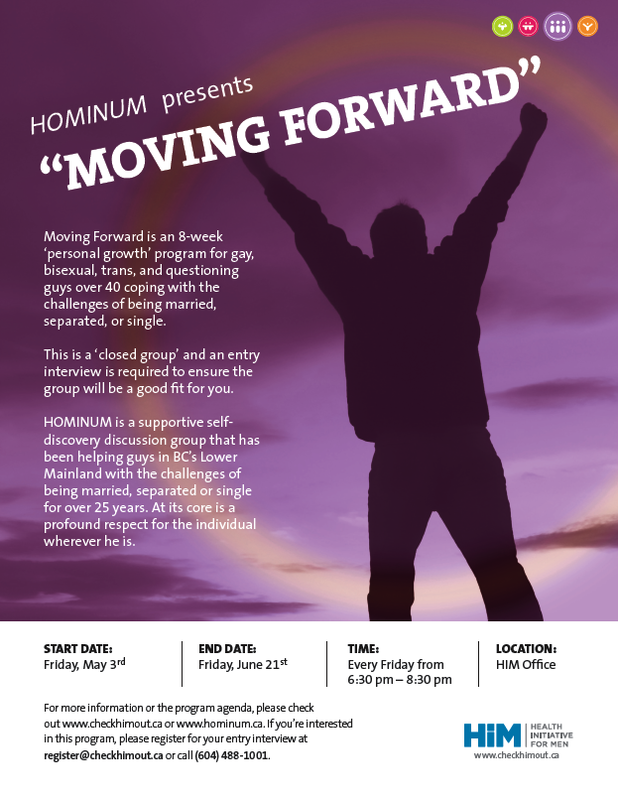 Perhaps the most significant has been the teaming with Health Initiatives for Men (HIM) in sponsoring an 8 week personal growth program “Moving Forward”. Thank you all for your input! The outcome of that program brought a new awareness of Hominum and we are pleased and happy to welcome a number of new members from that group who continue their journey. We maintain that invaluable association with HIM and hope for another similar program in the forthcoming months. In June, a Think Tank Committee met and brought forward a number of changes/improvements in our meeting format. Without doubt, the most significant recommendation which is being actioned at the moment is the revision of our website. It is my hope that each of you has had your thinking cap on and will have input in this evening’s discussion of the future direction of Hominum which will be considered by the Board and that accepted, incorporated in the website. On two occasions during the year we adopted housekeeping initiatives which are being followed in our meeting routines. We have had a steady increase in attendance at Monday meetings over the year. Our discussions have been lively and our vibrant guest speakers brought an abundance of information to the forefront. We have introduced two new promotional tools….a bookmark and a postcard which were distributed at gay pride festivities in Vancouver, Surrey and New West and currently being placed in appropriate locations frequented by gay men. While it is difficult to measure the value of our attendance at Gay Pride events, it is of utmost importance that we are visible and have a presence. It is my hope that we continue with our attendance at such events and widen our scope of participation in other such sponsored appropriate events around town. The year has had its challenges, but what is achievable without its detours and constant dedication to a goal? I thank you for your co-operation and input…..Hominum is YOU and I together working toward a better life for those following in our footsteps and as another year approaches I see a thrust in our efforts to bring more awareness of Hominum offering that which we continue to believe in…….our credo!